An ideal environment for sleep is cool, dark, and—surprise!—not quiet. Based on the science of sleep, there are times during the day and in the evening when your baby will be able to fall asleep most easily for naps and bedtime. Bedtime for a baby 1-4 months old should start between 8pm-11pm. Bedtime for babies 4 months and older should start between 5:30pm and 7:30pm based on the quality of day sleep. 1-4 months old Offer a nap every 60 to 90 minutes 8:00 p.m.-11:00 p.m. Infants are still feeding frequently so they go to bed later and wake to feed often at night. (3 naps per day) Offer naps at 9:00 a.m., 12:00 p.m., and 3 p.m. 5:30 p.m.-7:30 p.m. If your baby’s naps are short (less than 60 minutes), then put your baby to bed at the earlier side of the bedtime range. (2 naps per day) Offer naps at 9:00 a.m. and 1:00 p.m. 5:30 p.m.-7:00 p.m. As your baby transitions from 3 to 2 naps per day (between 7 and 9 months old), lean on an early bedtime until your baby adjusts. (1 nap per day) Offer a nap at 1:00 p.m. 5:30 p.m.-7:30 p.m. 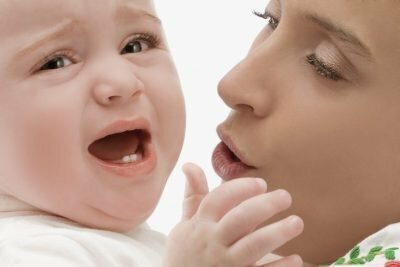 Babies transition from 2 to 1 nap between 14-19 months old. An early bedtime can help prevent your baby from becoming overtired. An overtired baby has a more difficult time falling asleep. An early bedtime can also help prevent your baby from waking multiple times per night and rising early in the morning.